An inventory of resources to support research data needs in the health sciences field. This guide is constantly being updated; please send feedback via the Comments links. Data is increasingly available to others for review and re-use. Simultaneously, the quest for more information about raw data and its availability is increasingly common. This guide provides an introduction to the world of data in the health sciences. On the Find Data tab, you will find inks to several health sciences related repositories where you can access data for your own research. As a researcher, you may also consider managing your own data for compliance, re-use, etc. The remaining sections of this guide provide information to assist you through the steps of managing your data. 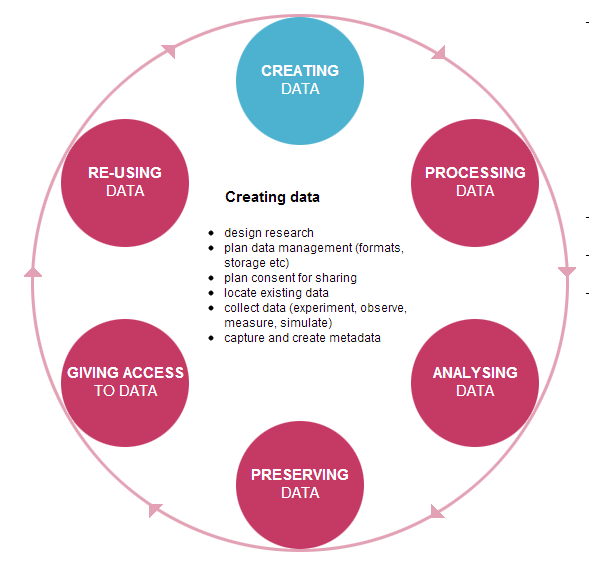 Guide of resources related to the many aspects of research data management. UW Libraries. Includes information & resources for finding & visualizing data. UW Libraries.